Modeling human diabetes in animal models is challenging – currently available models only mimic specific and limited aspects of diabetes, providing inadequate translatability to the human condition, and lacking key human disease features such as pre-diabetes and polygenic disease. 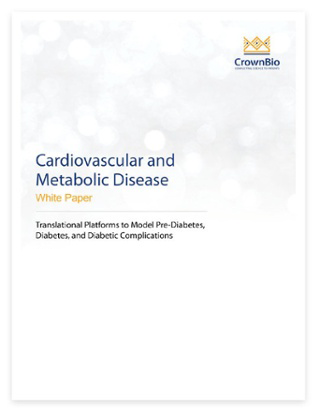 There is a need for translational platforms that show similar disease progression to humans, modeling multiple aspects of human disease, and allowing efficacy testing of pharmaceutical interventions across all diabetic stages in a highly translatable manner. This White Paper introduces a unique platform of highly translational models recapitulating multiple aspects of disease progression as seen in humans, for preclinical efficacy studies.